Written from the unique experiences of Doug Pedersen, this self-improvement book–disguised as a memoir–is at once funny, poignant, and generous, while offering genuine advice. 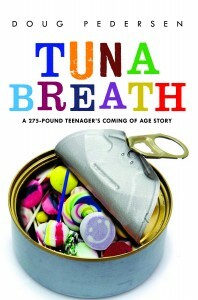 Providing intimate insights into being a “super fat kid,” and insecure teenager, and an over-aggressive, angry, and ironically arrogant Marine who was full of self-pity, Doug shares the negative emotional drivers and responses that drove him through a “binge eating life” before finding physical health, emotional balance, and spiritual wholeness. Tuna Breath invites us to intimately observe a troubling life journey in which the lessons to be learned are truly visceral and inspirational.